I can easily recall when I did the Hoffman Process, because we arrived on the day of the 2010 UK General Election. Despite it turning out to be the first hung parliament since 1974 with no clear majority, none of us knew nor cared. Whilst the politicians negotiated what eventually became the Coalition Government, we spent the rest of that week focussing on building our own coalitions; both within ourselves and with the world around us. When I got home after the course the first thing I did was to go upstairs and put on the wedding ring that I’d had for over ten years but hadn’t worn. When I saw my wife, I broke down, as the emotions I felt were far stronger than any words. This honesty continued in my wider relationships as I opened up to how I truly felt. As my relationships started to transform, so did my life. 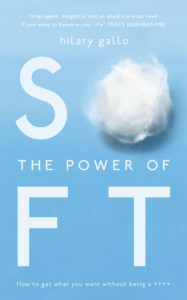 Three years later I left my last corporate job and another three years after that I published my first book, The Power of Soft, which was about a kinder way to negotiate in business and in life. I’d learnt, while in my corporate role, that I could get results by being more relationally driven. My point in the book was that this wasn’t just about being ‘soft’, it was about getting the best mix of hard and soft: a ‘strong core’ and a ‘soft front’. 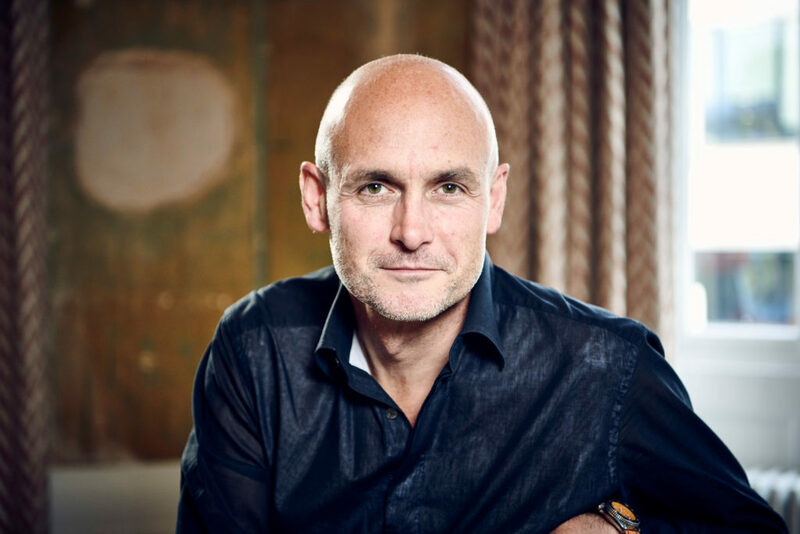 As time went by I realised that something deeper sat beneath the problems I saw in negotiation – whether in my coaching work or in everyday life. I noticed that people adopted positions and became locked into what they believed was true. When they wanted a certain outcome, what kept them stuck was not the lack of will to do it but the fact that they simply didn’t act. It wasn’t long before I also saw this pattern in myself. The issue wasn’t so much about what I needed to do, it was more about what stopped me from doing it. Eventually a consistent theme emerged – fear. By this I mean fear in the widest possible sense – not just fear of what might go wrong but fear of loss, abandonment or uncertainty masked as fear. What I noticed was that fear was the substrata to most of life’s sticky issues. Where there was a problem, there was generally fear sitting at its heart. I decided that a good way to address this was to start a workshop on fear. One of the things I’d learnt as a negotiator was that I needed to understand my opposite number, even if they came across as a villain or a bully. I used this approach as a guide in dealing with fear. Instead of treating fear as a monster that pinned me down, I approached it as a friend. 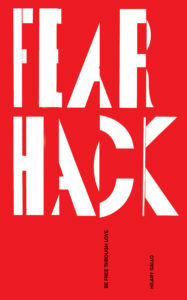 This has now become the theme both for the workshop and the book that it’s spawned: Fear Hack. This strategic reframing of fear is the core of the ‘hack’. Over the three years that I’ve run it, the workshop has changed and developed. I’ve now realised that one exercise we do early on is often the most revealing. This is the Fear Wall. All I do is to ask people to write a fear they have on a sticky note and then to put that up on the wall. When I first did this exercise I thought it would be a good starting point. Now I realise it’s the breakthrough moment of the workshop. This is the point when people decide to invest something of themselves and it’s also when they start understanding what fear is. The point of the wall is not so much that they see their own fear but rather that they see what fear is doing to everyone in the room. Each group is slightly different, but some themes tend to come through every time. In looking at the fears on the wall, people realise they aren’t alone – others have similar fears. The wall creates an access point to begin to discuss our anxieties and as they do this the group slowly comes to the realisation that their fears are illusory – the product of unhelpful thought patterns and conditioned responses. Slowly, people start to question the evidence they have for the thing they fear. One by one it dawns on them that, like the imagined intruder downstairs at night, their fear is a creation of their fertile imagination. When we get to this point we realise that we, not our fears, have the power. Once we connect to our personal power we’re able to see the world outside through a different lens and understand how we can change. Suddenly we’re in control of the narrative. We’re back in the driving seat. Although a common first reaction when looking at the wall is a degree of challenge and even sadness, this soon gives way to a very different reality. Once people have named and started to understand their fears, the overriding feeling they connect to is a sense of hope. What we see is that the problems we thought were external have solutions that are within our gift. Just as I experienced on the Hoffman Process, when we understand and name our fears, we can see where they come from and the insights that they hold. Once we’ve fundamentally shifted our relationship with fear, hope can step in. What evidence do I have for this fear? Where does this fear exist in time – is it happening now? If fear was my friend what might it be telling me? How long have I had this fear? If a long time, where might it come from? Might the feeling I have be excitement or anticipation rather than fear?